Store every memory with this gift and add a personalised touch with this unique keepsake. This gift has a fabric covered window with embroidered features. 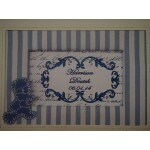 Personalised with small blue French script. 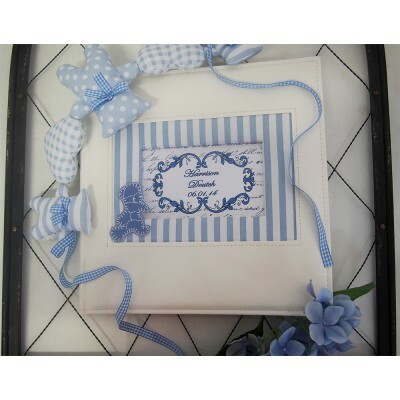 This 30cm x 30cm, 30 page album is a treasured gift for baby, for christenings, for birthday. 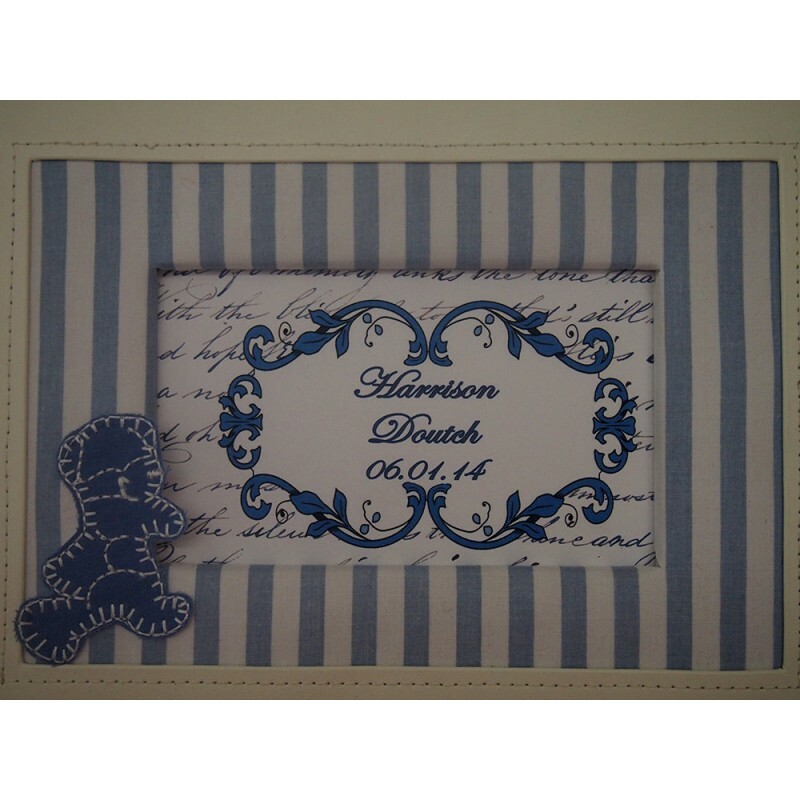 With archival quality inserts it is ideal for scrap booking and comes with adhesive photo corners ready to go.